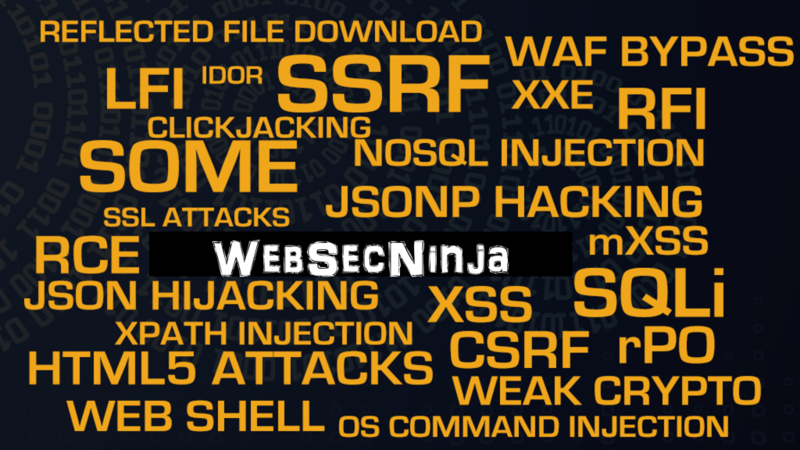 OpSecX WebSecNinja: Lesser Known WebAttacks is a brand new and unique web security course that takes the learner to the next level of web security. A perfect blend of latest and lesser known web attacks that are explained with ultimate details and accompanied by demos and how-tos that you can apply in real world red-team pentesting and security assessments. The course curriculum is designed to include web attacks and techniques that are not much documented in books, courses and elsewhere. The course curriculum is designed to include web attacks and techniques that are not much documented in books, trainings, courses and elsewhere. The course doesn’t have a fixed agenda and the purpose of that is to accommodate latest attacks as and when they are discovered or published on various conferences like BlackHat, DEFCON etc.